A new entry in the Kingdom Rush series of mobile games is arriving next month. 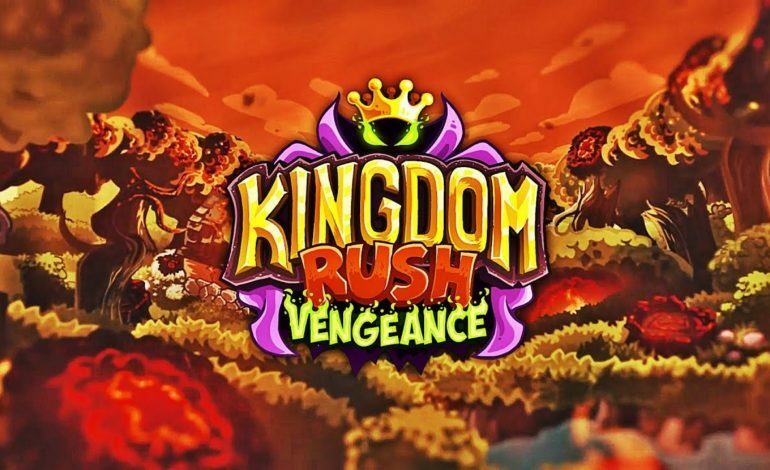 Titled Kingdom Rush: Vengeance, this new tower defense game will have the player controlling the wizard Vez’nan and his evil forces as they try to take over the Kingdom. The Kingdom Rush series of tower defense games started back in 2011, putting players in the role of a general trying to stop evil forces from taking over the world. It went on to spawn two sequels in 2013 and 2014 titled Frontiers and Origins. The first two games are free on mobile with in-app purchases, and all three games can be purchased on Steam. Armies are rallying, sword are being sharpened, orcs are pillaging, reinforcements are getting ready to reinforce because…well that’s what they do! Like the previous games, the player will be placing towers down in order to repel incoming enemy units. This time, instead of the usual eight towers, players can choose from a selection of 16 towers, such as orcish fortresses and zombie crypts. Players will also be able to make use of player-controlled hero units to personally fend off the opposition. Kingdom Rush: Vengance will be available on the app store and Google Play on November 22, Thanksgiving Day. Pre-orders are already available for $4.99. There’s no word so far on whether Vengeance will be ported to Steam like the previous games, but you can learn more about the game at its official website.